Here’s the griff. A British citizen has been beheaded somewhere in the Middle East by a bunch of Islamic Fundamentalist nutjobs. Indeed, a fellow Brit has beheaded him as far we can tell. It makes you think the world is going mad, doesn’t it? But then again look at it this way. We – the British political class – have been pushing this multiculturalism, rub-their-noses-in-diversity thing for some time now, so we shouldn’t really be surprised that a British citizen has come over all Islamic Fundamentalist. We’ve made it OK to do all that Sharia stuff because we’re dead tolerant here in the UK. If you want to do Islam then that’s fine. Hell, we even have the BBC devoting an awful lot of that ‘Thought for the Day’ malarkey with Muslim folk encouraging us to contemplate the joys of Islam. I’m not sure if you voted for that, or if you mind your Licence Fee paying for it, but I don’t care really. Indeed, you could be forgiven for thinking that for a generation, or so, our mission in politics has been to bring the Enlightenment to Islam. Was that ever our role? I don’t know. Anyway, the point I was going to make is this: we, the British political class have screwed the British economy in to the deck. Us politicians have spent decades bribing you for your votes so that we can provide you with a totally unaffordable, unsustainable Welfare State – itself predicated on growing the British population (and, with it, lots and lots of lovely, lovely votes for us politicians) with the tired, the poor, the huddled masses yearning to breathe free and the wretched refuse of some other teeming shores (Calais for starters). Come to think of it, we’ve also been printing money like there’s no tomorrow to prop up the banks and the bankers who run them and who, consequently, receive salaries about which most of us can only dream – to this day. It’s great being a politician and being able to order the printing of money like that. However, I digress. I have to admit that the game is up. We’re now as good as bankrupt as makes no difference. Consequently, the last thing on earth that the British Government – of any political persuasion – can afford these days is armed forces. They’re f****d, believe me. Anyway, let’s be honest, we politicians (bearing in mind that we’re all Fabians now) don’t really like all that elitism stuff that pervades the British armed forces. Elitism isn’t fair – as my Deputy, Nick Clegg is wont to keep telling us. Nick loves all that fairness shtick. So, it’s probably no bad thing that we’re screwing over the officer class. So, as I was saying, we’ve ensured that there’s no way on earth that we, the British Government, can project power hither and thither to protect and secure the livelihoods of wretched souls like David Haines et al. We used to be able to do that, but not anymore. You can’t have infinite welfare and armed forces at the same time, you know; get real. That would be like having your cake and eating it. And do you know what? Someone had the idiot idea that we might be able to send in the SAS to rescue Mr Haines. I’ll tell you, these days we don’t have the military resources to run a bath let alone run a complex rescue mission half way around the world. So, my advice as your Prime Minister is this: if any Brit is thinking of doing good overseas, forget it. You might come across another Brit who’s quite likely to want to behead you in the name of Islam – because we’re all multicultural and diverse in the UK these days … and there’s no such thing as British values, as such. If you value beheading one of your fellow citizens in a desert somewhere then that’s a British value as much as any other British value. Well it’s not really, but you can see just what a feckin’ mess we politicians have made of our society in recent decades. Anyway, like I said, the world is going mad. Meantime, a bloke down the pub said to me the other day that maybe we should focus on the maxim ‘charity begins at home’. In other words, why don’t we ditch all this multiculturalism guff; why don’t we ditch allowing several cities’ worth of immigrants to arrive on British shores every few years and thereby cementing and ingraining the whole multiculturalism thing in to our society; why don’t we forget any notion of re-running The Crusades; sod bombing Islamic State (how do you bomb an ideology in to submission anyway? ); why don’t we just focus on Britain and the British whilst there’s still a few of us left? Why don’t we hunker down and secure our borders whilst leaving Islam to strut its funky stuff elsewhere in the world? Why don’t we look after our own crumbling society and see if we can’t turn it around by focusing on what really matters? Why don’t we rediscover our Anglo-Saxon roots and salvage what we can of a thousand years of slow, progressive, societal evolution? Well, I don’t really have any answers for that bloke I met down the pub. All I know is that we, the British political class, will continue to make a complete dog’s breakfast of running this country whilst being guided by our masters in the European Union. Oh, and on the dog’s breakfast front, look at the total mess we’ve made of the devolution thing, with a handful of British citizens – who just happen to be resident in Scotland this year – capable of disintegrating the United Kingdom after 300 years of productive peace and stability. I ask you. I could go on, but I shall now draw my address to a close by saying this: if anybody out there has any brilliant ideas for running this country better than those of me and my mates in the British political class (and our masters in the European Union) then please send your ideas on a postcard to The Prime Minister, 10 Downing Street, LONDON, SW1A 2AA. 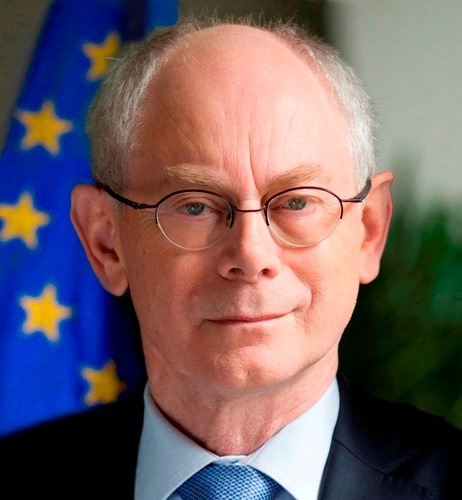 We’ll ignore them, of course, and pass them to Herman Van Rompuy. It’s important that we should live in a tolerant and inclusive society, and that governments should govern with compassion and with one eye always on the weakest in society. The United Kingdom, like so many nations after all, is a conglomeration of tribes which have coalesced – sometimes peacefully and sometimes following violence – over generations. The observation I would make, however, is that over the past, say, 30 – 50 years (a generation) we seem to have been on the receiving end of politically-motivated societal change which has been imposed upon us at breakneck speed. That’s the subject of another post. However, human beings tend to feel threatened by change being imposed on their communities and where that change is, by definition, largely beyond their control (emanating from unelected, unaccountable bureaucrats in Brussels, as it happens). That’s the situation in which we seem to find ourselves in the UK today. By virtually any measure you care to choose, British society has been subjected to an unprecedented rate of cultural, political and religious transformation over the past 30 years, largely without the prior consent of the electorate. Some of that change has been for the good, some not so. But it’s the disconnect between government and the governed that needs to be addressed. Much of what lies behind the current Scottish independence debate, and the fervour associated with it, has as much to do with a sense of alienation of Scots from the Westminster political Establishment, as it has to do with independence per se. The same can be said for UKIP’s popularity. See also my reply to gordon’s comment below. Have a nice day. It is important to realise that we have until May 2015 to bring about a change in attitude in the UK, from one of self, self, self to that of living as a nation united. This is happening, to an extent, change is more rapid and deep than conventional observation and comment would have us believe, but there is still a long way to go as the bulk of the electorate clings to the cuddle-blanket of the same old, same old . . .
It’s not that UKIP is the answer to all our prayers, but that no other political organisation can at this time make any sort of difference. If supporting UKIP is too high a price for many, then that price is bargain-basement compared to what will be paid in the years after next. I am an American and our society is being ground down similarly by left wing democrats.our president,the Manchurian candidate,in all probability is delighted with the mess he kicked off with the so called Arab spring.six years after Cairo,the world is aflame.to stoke the fires,he pulled our troops out of Iraq and a good bet is he will not leave a residual force in afg. The leftists he has embedded in his administration are working feverishly to further tear our country apart.defense gutting,irs targeting,class warfare,enviro nazi regulations…they know they better put it in high gear before more Americans wake up(if we have even enough educated folks left who can see the mess we are in). But they (the radicals)know there are plenty of patriotic Americans who just won’t take it and they fear them.and they have not been able to take our weapons or brainwash the armed forces.so in the end,we just have to take the politicians to task.they will listen when enough pitchforks are waved in the air.better a cushy job,than jail.there is hope in being prepared and resolute. Rdjr, thank you very much for your comment and I recognise the situation as you describe it in the USA. Indeed, I’m familiar with that cohort in your society who have ideas of eventually drawing a line in the sand. I find the writings of Tyler Durden on the ‘Zero Hedge’ website interesting and prescient; if you’re not familiar with that website, take a look. Try also http://www.resilience.org and Chris Martenson’s ‘Peak Prosperity’ website. In terms generally of where I’m coming from, so to speak, please take a look at an earlier post of mine on this website, ‘Energy – Reality Intrudes’. All the best and, who knows, we may just happen to meet up somewhere, someday, perhaps on our travels – if that was the case, I’m sure we’d have much in common. Not a dispirited soul reckon it is way to late to make much of a difference now Moraymint. The social damage is done yet the likes of Cameron keep on piling on the damage to preserve themselves. A long time ago a politician implied I was to suffer for the majority! Really, the lying two faced politician because the population seems to have been hammered anyway no matter my suffering. Under the same proposal to stop the damage the politicians need to sacrifice themselves to put right the damage they created. Guess what, never going to happen if it means those few losing for the sake of us all. The moral for all people is to never believe a politician in anything because to give them any form of concensus they will then use it against you to give them the lifestyle they are now accustomed too. good stuff below – read on. As an Englishman abroad, things really are ‘that bad’ and worse. Viewing Wee Eck drive a wedge between his own kith and kin is one thing, but for The Three Stooges (C,C&M) to promise riches beyond avarice to be paid for by the English with no hint of reciprocity politically (East Lothian question) is simply too much to bear. With a FPTP voting system, gerrymandering of boundaries to suit the Socialists, and forty-odd Labourite Scots MPs voting on English matters, what chance do the English have? Time to re-read my copy of ‘The Last Englishman’ by Lt Col A.D. Wintle. 1st the Royal Dragoons. I have just read an excellent article by David Sole in the DT. He tells his story of intimidation by the ‘Yes’ brigade far more eloquently than I could ever do and he’s a true Scottish gentleman (and patriot). It should be essential reading for all north and south of the border. Salmond and his cohorts should hang their heads in shame. Well, I’ve lived all over the world and used to be the most tolerant person you could wish to meet. But our politicians have betrayed us and left us with no choice but to resort to extreme measures. We live in a world of scarce resources, survival of the fittest: to give your country away is the most stupid thing you could do, hence treason by the people elected to represent us. Time for extreme measures, our politicians will respond to nothing less. What is so incredible is that certainly the political party’s offices must monitor all these articles and threads. Therefore they must be aware of the antipathy to what they are encouraging. Yet still they ignore public opinion. Why? Could it be that they have decided the value of the votes they may garner by trying to appease the RoP outstrips the wishes of their other constituents? In other words they don’t give a rat’s a**e about the majority of the the UK population – only hanging on to their parliamentary seats. We are finished unless we rid ourselves of LibLabCon at the next ballot box. I have also passed this on to like minded souls. Thank you. Couldn’t agree more, Mr Mint, and have forwarded this post to everyone I know with an interest in politics, government and common sense. Thanks gordon and I take your point, wholeheartedly. I’ve been drafting a couple of posts aimed at the ‘upside’ so to speak, but events tend to conspire to the ‘downside’. Knowing that one British citizen can behead another British citizen in a desert somewhere on a camera for us all to see (not that I’ve any inclination to watch) makes me think that something either has gone wrong, or is going wrong with our society. Others may draw different conclusions. However, since we rely on our politicians to govern us and, to a greater or lesser extent, create the socio-economic environment in which we live, I’m baffled as to how it’s come to this? Perhaps it’s true and fair to say that in a democracy we get the governance and governments we deserve. We’ve kind of brought this upon ourselves. I’m not convinced about that though. At times my disappointment and frustration at the trajectory of our society, led by our political class (or is it us leading them? ), becomes a tad overwhelming, to be honest. One fears for one’s children and their children if we keep going like this. My perspective is that there is an enormous gulf, a canyon between them (politicians as a cohort, the political Establishment) and us. All I’ve done here is use satire – brutally, I admit – to have a go at them. I suppose the question is, economically, politically and socially in the UK are we in a good place? If we are, then fine, let’s hang in there, let’s push on as we are. However, there are some of us who wonder what has become of our established political elite, what is their competence, what are their motivations and where are they taking us? Notwithstanding, on the back of your comment, I have resolved to balance my most recent posts with something positive and forward-looking next. Kindred spirit, indeed. You could always resign, and give ME a chance – I promise I won’t do any worse than you, your colleagues, and your predecessors. ← TIME TO DECLARE WAR ON THE ISLAMIC STATE?